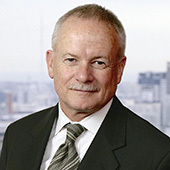 Mark Birrell was the founding Chairman of Infrastructure Partnerships Australia and served in this position from 2005 to 2013. He is an experienced company director with credentials spanning the private and public sectors. Currently his roles include being Chairman of PostSuper Pty Ltd, non-executive director of Transurban and immediate past President of the Victorian Chamber of Commerce & Industry. Previous roles have included being Chairman of the Port of Melbourne, Chairman of Infrastructure Australia, Chairman of Regis Healthcare and national leader of the infrastructure group at Minter Ellison Lawyers. In the 1990’s he served as a Cabinet Minister and Government Leader in the Victorian Upper House, a time when he initiated and oversaw numerous successful capital works projects. Mark is a Fellow of the Australian Institute of Company Director and a Companion member of Engineers Australia. 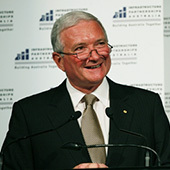 Nick Greiner was Premier and Treasurer of New South Wales from 1988-1992. Since his retirement from politics he has been heavily involved in the corporate world as Chairman of several large companies and as the Deputy Chairman and Director of others. In June 2011 he was appointed as the inaugural Chairman of Infrastructure NSW, a role he held until July 2013. Nick is a Member of the Board of Governors at the Committee for Economic Development of Australia (CEDA) as well as Chairman of The European Australian Business Council (EABC). In June 2017, he was elected as Federal President of the Liberal Party. Nick holds an Honours Degree in Economics from The University of Sydney and a Master of Business Administration with High Distinction from Harvard Business School. In the Queen’s Birthday Honours List of 1994 he was awarded a Companion of the Order of Australia for public sector reform and management and services to the community and in 2001, the Centenary Medal. He is a Life Fellow of the Australian Institute of Company Directors, an Honorary Fellow of CPA Australia, a Life Member of the South Sydney Rugby League Club and of the NSW Division of the Liberal Party. 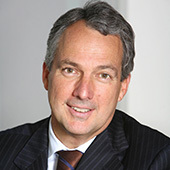 Nicholas was appointed Chief Executive Officer of Macquarie Group in May 2008. Macquarie Group is a global financial services provider, with more than 70 office locations in 28 countries. It has institutional, corporate and retail clients and counterparties around the world. Macquarie has a uniquely diversified business and has established leading market positions in a wide range of sectors, including resources, agriculture and commodities, energy and infrastructure, with a particularly deep knowledge of Asia-Pacific financial markets. Its diverse range of services includes corporate finance and advisory, equities research and broking, funds and asset management, foreign exchange, fixed income and commodities trading, lending and leasing and private wealth management. Since joining Macquarie in 1986, Nicholas has led the global development of its advisory, funds management, financing and securities businesses. He is now leading the continued global growth of Macquarie Group as it builds on its financial services strengths. Nicholas has a Bachelor of Commerce and a Bachelor of Laws from UNSW. He is a solicitor and a Fellow of the Institute of Chartered Accountants. 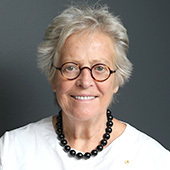 He is also Chairman of the UNSW Business School Advisory Council, Screen Australia and the Sydney Opera House Trust, and a Director of the Centre for Independent Studies. Tony is Chairman of Macquarie Specialised Management Limited (a global infrastructure fund), the Sydney Cricket Ground Trust and the AFL GWS Giants. He is also a Director of Menzies Research Centre, Virgin Australia International Holdings Limited and Racing NSW. He is an advisor to Bank of Tokyo Mitsubishi UFJ, a member of the ASIC External Advisory Panel and Pacific Leadership & Governance Precinct Executive Advisory Board. Tony has had an extensive career in Australia and overseas in the private and public sectors. He pioneered private infrastructure with projects such as the Sydney Harbour Tunnel, Melbourne City Link and East Link. He was the inaugural Chairman of WestConnex. 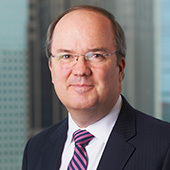 He oversaw the listing of Transurban, Transfield Services and Connect East. Tony was President of the Business Council of Australia, Chairman of the National Commission of Audit and Chairman of ASTRA (the subscription TV Association).